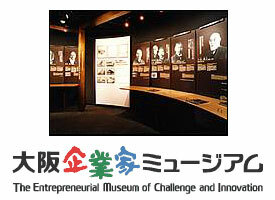 As a project to commemorate the 120th anniversary of the founding of Osaka Chamber of Commerce and Industry, EMCI was established by OCCI in June 2001, as Japan’s first unique Museum to introduce entrepreneurs who greatly contributed to developing modern industries of Japan as well as to supporting the people’s livelihood. The founding concept of EMCI is none other than the handing-down of entrepreneurship on to the next generation, to nurture and develop human resources for the future who would display such enterprising spirit, triggered by the sympathized high spirit of predecessors. 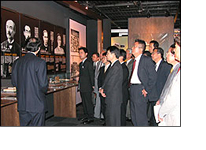 The main exhibition area introduces 105 entrepreneurs from Osaka, by era and by industry, including such founders of Matsushita Electric Industrial Co. Ltd. known for its ‘Panasonic’ and also of Nisshin Shokuhin Co. Ltd. that developed the world’s first instant noodle. Come and directly feel their enterprising spirit - lofty ambition, abundant ideas, keen insight, unique points of view, ingenuity and contrivance, will to carry through etc. Admission until 30 minutes prior to closing time. 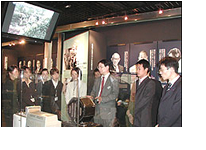 Tour Guide (in Japanese only) is available per group for over 10 people up to 160 people; reservation is needed. Lecture of “entrepreneurial spirits” and selected entrepreneurs’ achievements with power point presentation at your request. Look back from the end of the 16c.up to the end of the 19c., find out how Osaka became the origin of the entrepreneurship. Provided a guide per about 10 - 20 people. 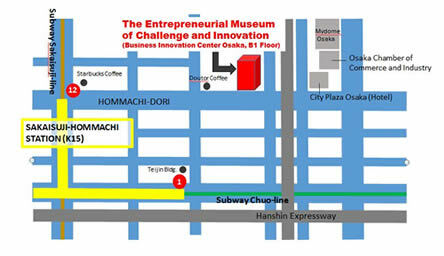 Explain selected entrepreneurs, for example, MATSUSHITA Konosuke of Panasonic, ANDO Momofuku (inventor of instant ramen noodles) of Nisshin foods etc..
Time schedule can be arranged by your request. 5 minutes’ walk from Sakaisuji Hommachi station (K15) #12 or #1 exit: subway Sakaisuji line and Chuo line.